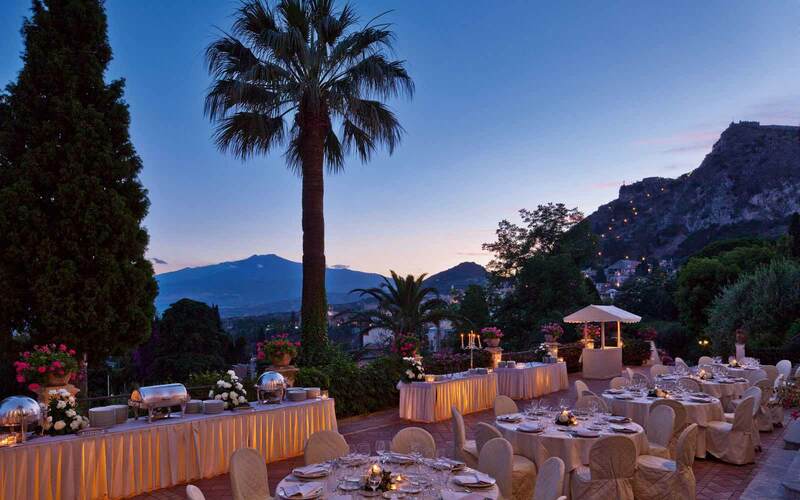 Belmond Grand Hotel Timeo occupies an unbeatable position in the historic centre of Taormina, adjacent to the Greek Theatre. 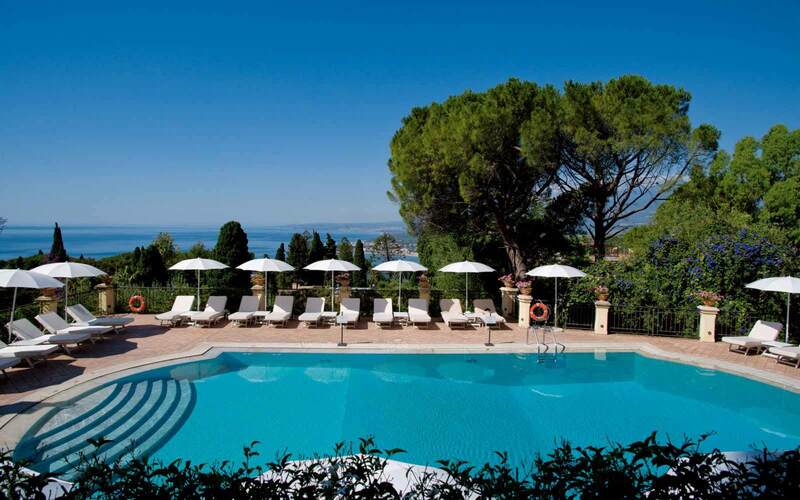 Despite its central location, the hotel is an oasis of calm, surrounded by 25,000m2 of private parkland and beautifully kept gardens, resplendent with cypress, almond and olive trees. 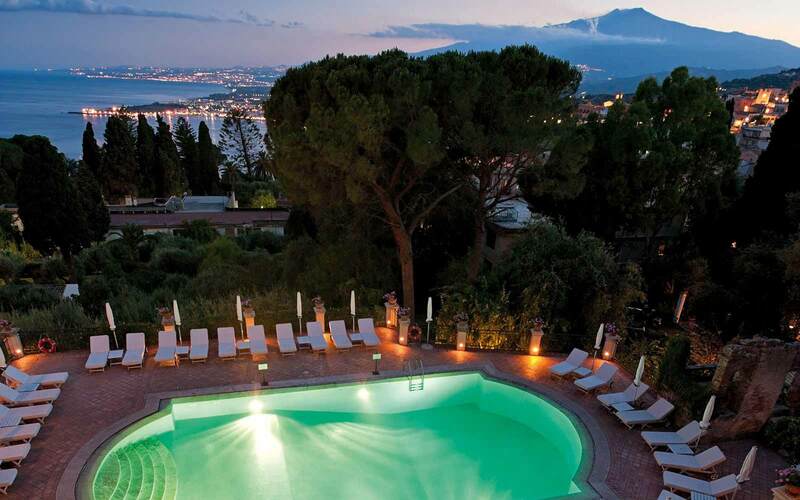 The hotel’s panoramic terrace, affords spectacular views over the Bay of Naxos towards Mount Etna. 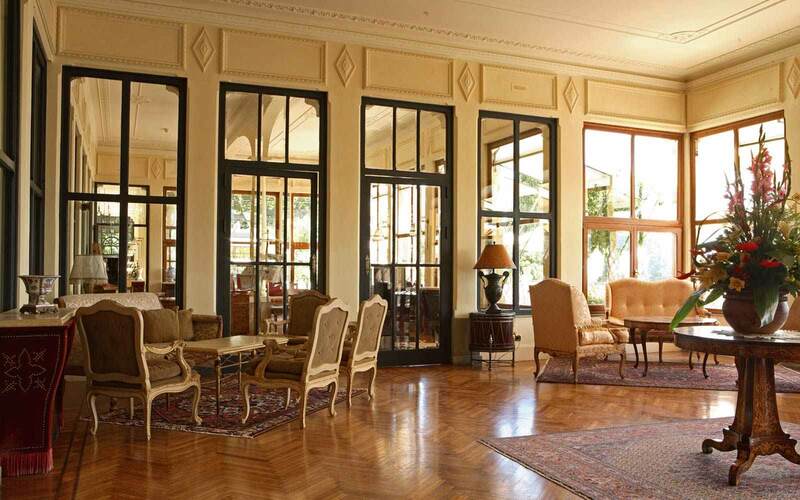 Inside the hotel is truly ‘grand’ with its beautiful vaulted ceilings and opulent furnishings. 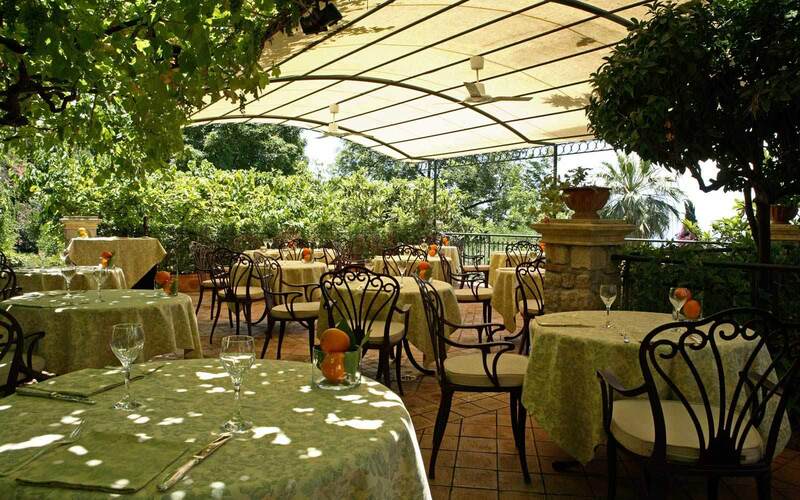 Restaurant ‘Il Dito E La Luna’ has gained an excellent reputation for its fine Sicilian cuisine and attentive service. 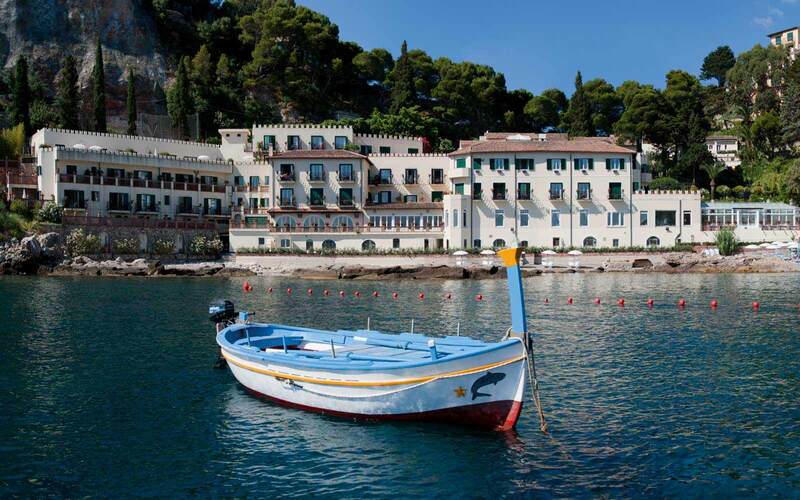 Alternatively Restaurant ‘Oliviero’, offers fresh fish specialities, and is a delightful setting for a romantic dinner. 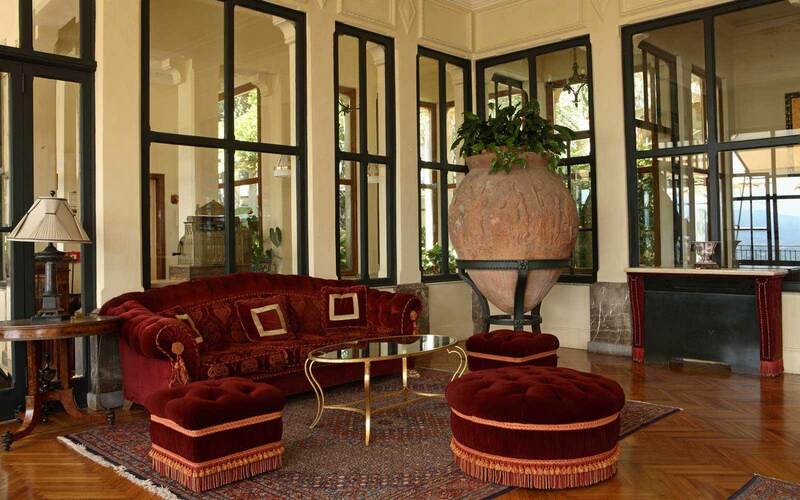 The lounges and glass ‘sun rooms’ are light and airy, opening out onto the terraces, where guests can relax on warm summer evenings and listen to music from the Piano Bar. 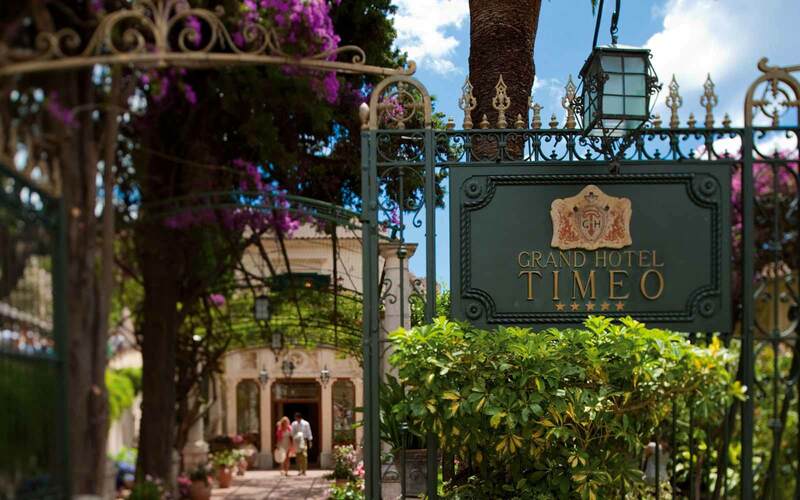 Sumptuous, exclusive, yet at the same time very intimate, the Grand Hotel Timeo offers a very special stay in Taormina. 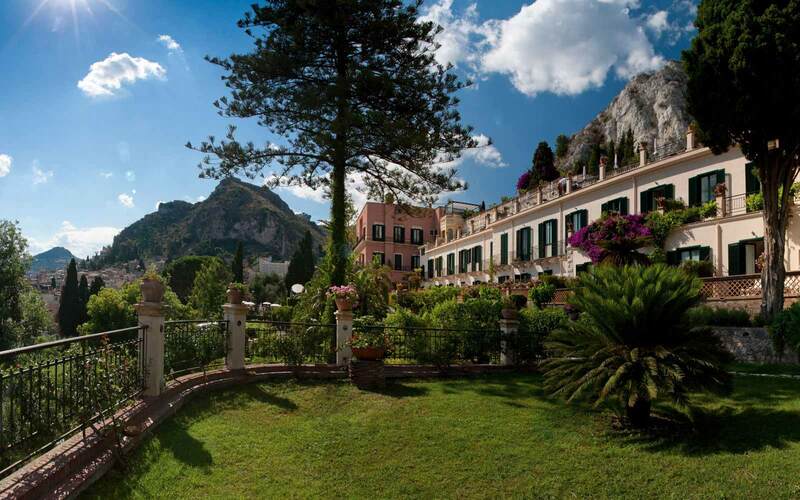 The 44 guestrooms and 26 suites are located in either the main building, or in the charming annexe ‘Villa Flora’, a former country house just 50m from the main hotel. 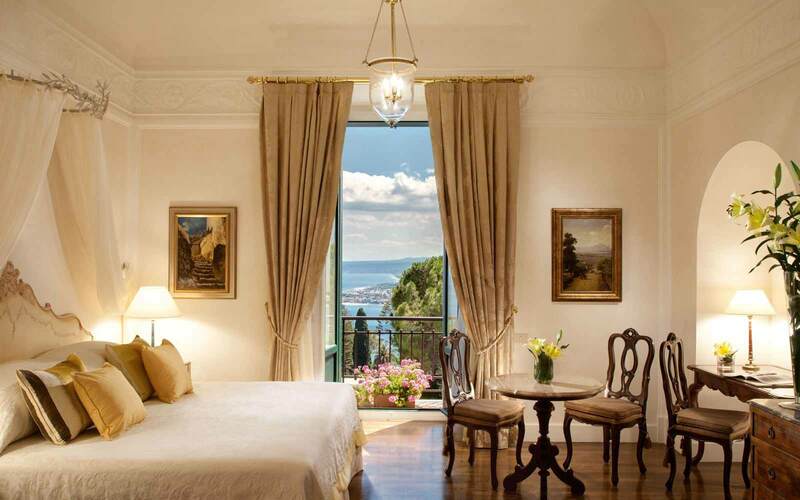 Double Deluxe: these rooms, with typical Sicilian cotto tile floors, feature either a king-size bed or twin beds. Bathrooms with either a bathtub or separate shower. Palcony or terrace with view over the beautiful bay of Naxos. Only 4 rooms are connected. 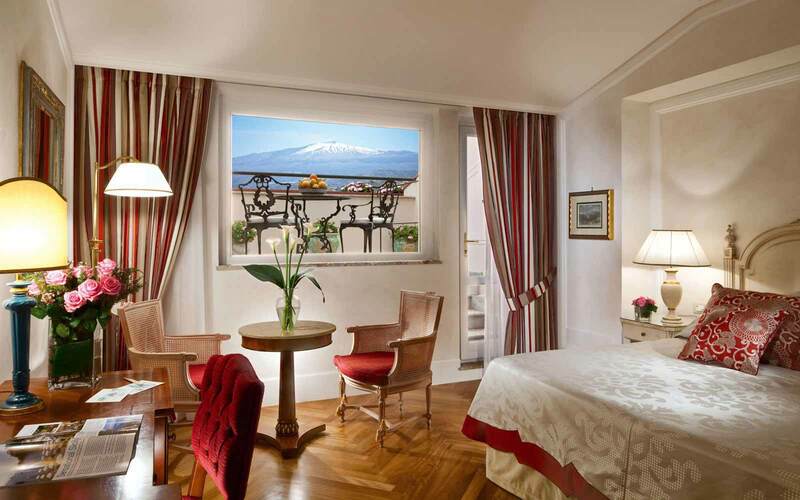 Double Classic: double room with a view over the attractive courtyard. 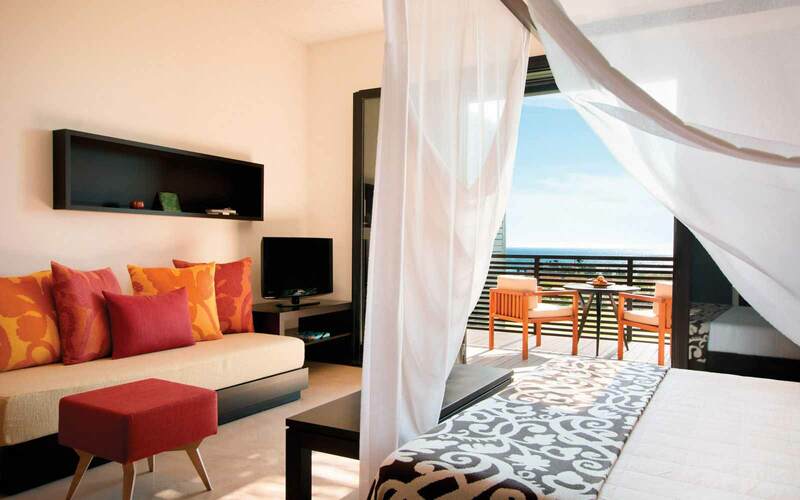 It features a king-size bed or twin beds and some have balcony. Bathrooms have either a bathtub or separate shower. Connecting rooms on request. Double Superior: double room featuring either a king-size bed or twin beds. 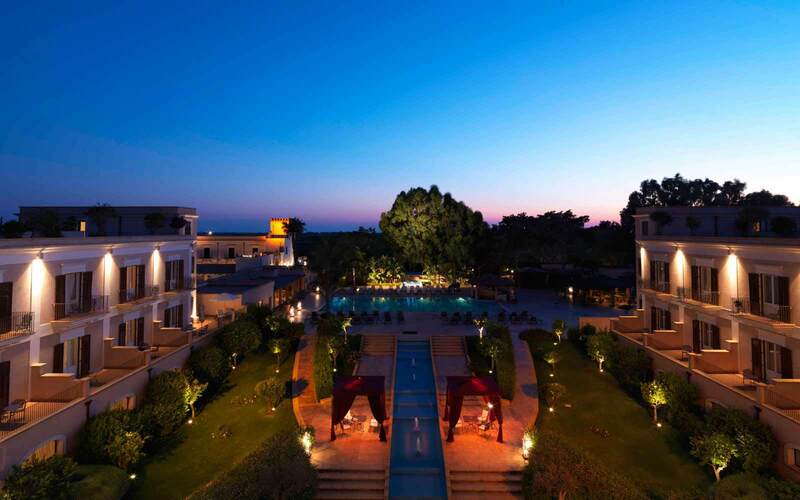 Each boasts a private terrace equipped with table and chairs, facind the view over the Bay of Naxos. All bathrooms have a bathtub. No connecting rooms. 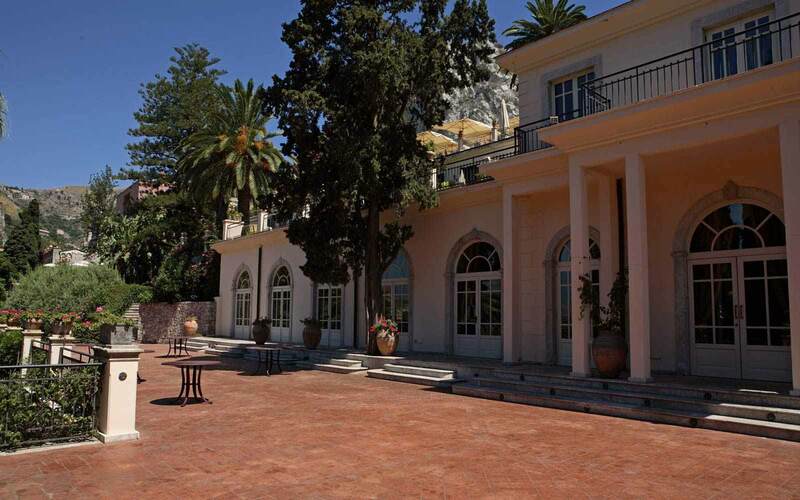 Gallery room: set over two levels, with a setting area on the ground floor and a bedroom on the upper level. The rooms have sea view or village view, some with a French balcony. All rooms feature two bathrooms, one with bathtub and the other with shower. King-size bed or twin beds available. No connecting rooms. Family room and suites on request. All rooms offer: air conditioning, mini-bar, complimentary wireless/wired internet, Satellite TV and DVD player, daily newspapers, courtesy lines by Bvlgari, Penhaligon’s, Molton Brown, E-readers available in hotel, 3,500 digital newspapers and magazines available in 18 languages, Nespresso machines in all suites.